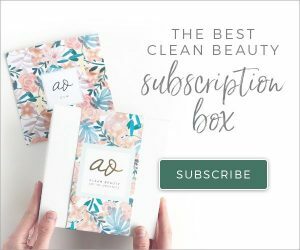 Whoa, I can’t believe it’s been a full year that I’ve been receiving the monthly Clean Beauty Box. 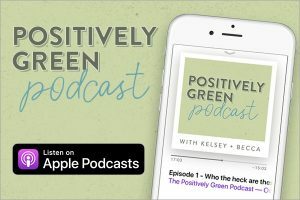 Looking back, it’s introduced me to SO many awesome products and brands. This month is no different! 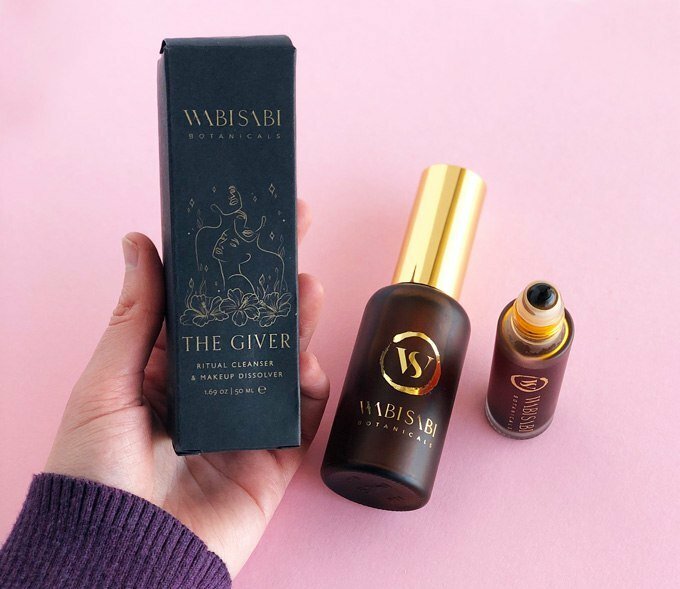 The theme is BALANCE and features two full-size products from Wabi-Sabi Botanicals (a brand that was actually in September’s box). Let’s take a look at what’s inside! Deeply focused on sourcing as sustainably and ethically as possible, Wabi-Sabi Botanicals places a special emphasis on cooperatives that empower women through fair wages and working conditions. Uncompromising in their standards across 5 categories: Origin, Composition, Sensory Experience, Sustainability, and Bioavailability. This is a skincare line that you can feel good about supporting from the moment the product reaches your hands. 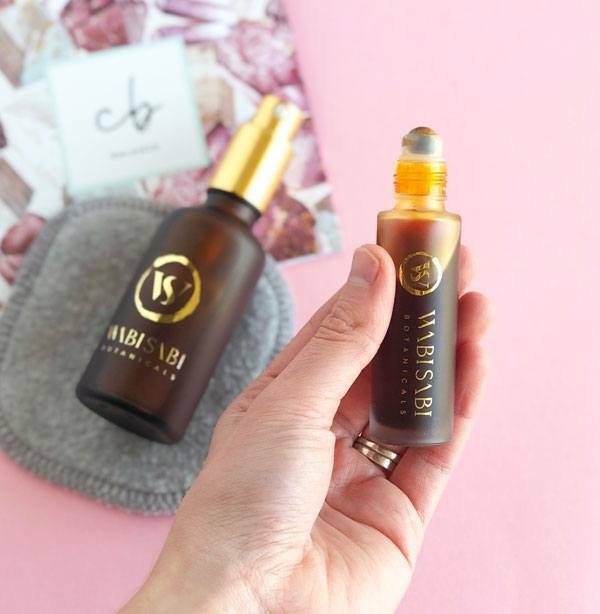 Formulated with organic and/or organically wildcrafted plant ingredients that contain active phytonutrients essential to skin health, Wabi-Sabi Botanicals promises effective products that are sustainable, unadulterated, and cruelty-free. Okay coffee lovers, listen up! The first thing I noticed when I first used “The Giver” cleanser was the aromatic coffee and cacao scent. Omg, talk about my dream come true 😍☕️🍫 This cleanser is formulated to dissolve dirt and grime and melt away makeup. It’s such a gorgeous hue, too. HOW I’VE BEEN USING IT: At night, I massage about 2 pumps onto my face and neck (dry), making sure to go slowly and pay extra attention to areas with more makeup. Then I wipe it all away with a warm, damp organic cotton facial towel. I think this is the first time I’ve used a facial serum that applies as a rollerball, SO unique and I feel like I’m not wasting any oil this way. 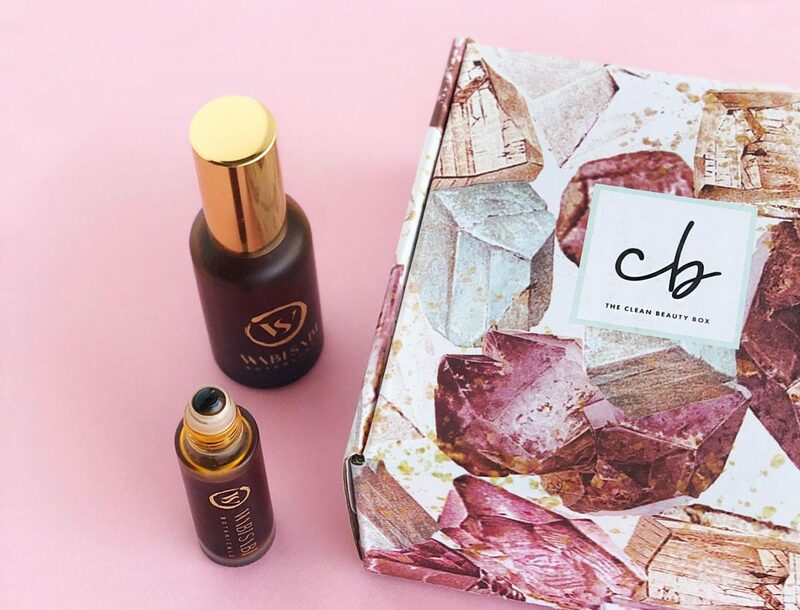 The rollerball is actually an exclusive pre-launch with The Clean Beauty box; this serum is in a limited edition Brazilian Tiger’s Eye crystal ball applicator and a larger 15ml bottle. But anyway! Let’s talk about the actual serum itself. This one doesn’t contain coffee or cacao but I feel like the smell is still dark, earthy, and warm and complements the cleanser really well. It’s concentrated with omegas which help balance combination and oily skin, calm inflammation, and minimize pore congestion. I really enjoy how lightweight it is! HOW I’VE BEEN USING IT: After using the cleanser, I roll it generously onto my face and neck then gently blend it in with my fingers. Depending on how moisturized my skin is feeling, I might follow up with a light moisturizer or just use this serum. It actually works beautifully as a makeup primer too!